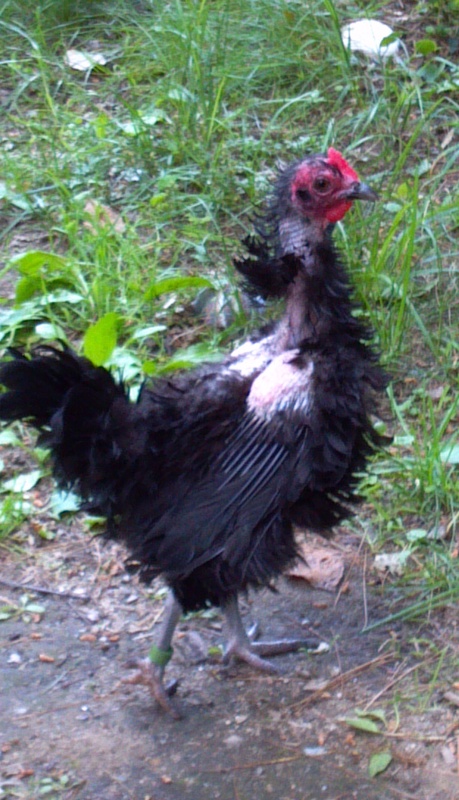 Tis the season of molting and some of our pretty ladies are starting to look a little rough around the edges. Tail feathers are gone, sand-papery necks are exposed, and backs, once sporting luxurious fathered coats have become moth-eaten bare. It’s a time of slowing down a bit, both in egg production and in movement. Old, no longer efficient feathers must leave in order to make room for the newer crop which will carry the girls through our cold winter. Last night as we all sat down to dinner, everyone suddenly realized that summer was rapidly coming to an end. Maybe it was that the nights are getting cooler (so cool that we have to find our sweaters) or that the days are getting incrementally shorter – shadows are now on the tops of the trees that just a few week before glowered in setting brilliance while we dined. Leaves are starting their magically impossible wardrobe change and there is a very definite crisp apple-scented feel of approaching fall in the air. Those who follow me on Facebook know that I have an, um, obsession with tiny houses. (Hi, I’m Wendy and I can’t get enough of tiny structures.) There’s usually not a post on a tiny house that doesn’t escape my feed. I read up on how to build them, I came close to buying one located in Mass, and I am constantly intrigued by people who convert things like campers and sheds into tiny living spaces where there’s a place for everything and everything is in its place. There is a certain kind of magic in a house where the empty spaces found between the moments of your life whisper to you instead of screech. Last week when we “re-homed” our 3 cockerels, the kids and I heaved a big sigh of relief to finally know that our newest little frizzle was definitely a girl and would be staying with us. We have a frizzle already. She’s a Serama mix and she’s the bird that we can never keep feathers on. Ms. Frizzle is big on personality and well, let’s just say that she has a lovely face. 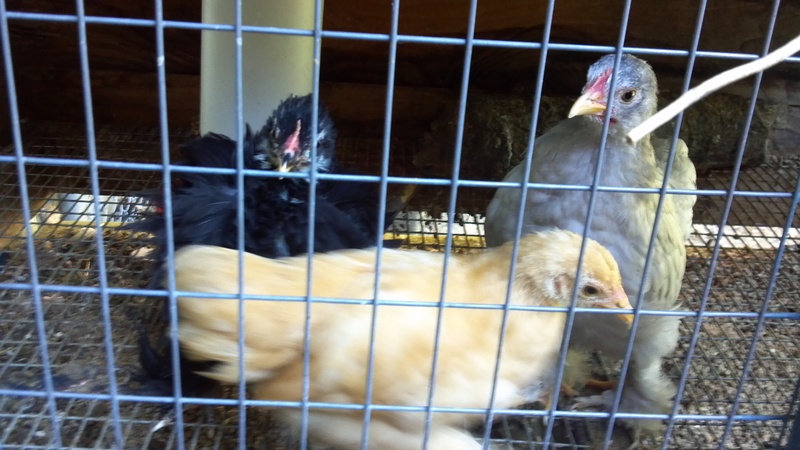 Our little lot of 6 feathered bantams, became 3 this weekend. Our friend came to pick up our 3 young cockerels to have them go live in at a home where crowing in the morning (and during the night) will not be an issue. For this privilege, eventually they will be harvested for food. I wasn’t here when the boys got picked up. I had put them into a box and left them on the front porch and then we left with the kids for an afternoon event. Just because I knew that this was what should have been done, it didn’t make it much easier. We’ve watched these little guys grow up, literally under our noses. We’ve played with them and laughed at their antics. We’ve talked to them and held them under our chins to feel the softness of their feathers. What a wonderful world it would be if nothing had to change and we could keep them all. But because we don’t live in a bubble, because we have neighbors who have a right to a quiet afternoon in their backyard, we cannot and will not have roosters in our flock. And while I will miss them and their funny antics, I know that, however uncomfortable it feels, it is the right thing to do.